PART THREE – Unilateral or Bilateral? Term or Duration? Welcome to Part 3 of our latest series here on “Words of the Law,” the Online Legal Translations blog. In the prior two sections of this series, we talked about the importance of understanding how the terms NDA, Non-Competition, Non-Solicitation, and Confidentiality function in a contract-signing context, and we took a deeper dive into the differences between Non-Competition and Non-Solicitation agreements. In this installment of the series, we are going to talk about two important sets of terms: “unilateral” vs. “bilateral” and “term” vs. “duration.” It is very important to know what these terms mean and the differences among them, before you enter into an NDA, non-compete, non-solicit or confidentiality agreement. “Unilateral” or “Bilateral?” These terms can apply to a stand-alone nondisclosure agreement (NDA) as well as to just the confidentiality section of a broader agreement. It all depends how the agreement language is worded. In Part 4 of this series, we will be discussing Confidentiality in detail. In unilateral agreements, also sometimes called “one-way” agreements, only one party is sharing sensitive information with another party. For example, a potential client might say “we’ll show you, a potential language services provider, the text of the patent we would like you to translate, and you’ll promise not to share this highly valuable, confidential information with anyone else.” In these cases, the agreement terms will identify one party as the discloser and the other party as the receiver, and the rights and obligations of each will be tailored to the roles of the respective parties as discloser or receiver. The discloser typically has very few confidentiality obligations under a unilateral agreement regarding confidential information, while the receiver typically has very stringent and very specific obligations under a unilateral agreement. With a bilateral agreement, both parties share information with, and both parties receive information from, the other, along with the assurance that their information will not be shared. Often times the parties agree not only to refrain from sharing substantive information they have shared with each other, but they may also agree not to share the even the fact that they are in talks about possibly working together in the future. Even in cases where only one party is actually disclosing information, the receiving party may insist on a bilateral form of agreement, in order to ensure that the agreement is balanced, as the parties will not want to obligate themselves to any burdensome terms that could affect them in the future. In such a bilateral agreement, the wording will allow for either party to be in a role of a discloser or a receiver under the agreement and the two parties will typically have the same obligations with respect to confidential information about the other party. It is rather unusual have a stand-alone bilateral nondisclosure agreement in a translation business relationship—in general only the client, not the translator is sharing confidential information. The translator’s personal information is usually protected by function of law. To summarize, in a typical unilateral agreement regarding confidential information, the obligations of only one party, the receiver of information, are discussed. In a bilateral agreement, both parties are envisioned as potential receivers or disclosers, and the obligations are typically the same for each party, regardless of which party is the receiver and which is the discloser. “Term” or “Duration?” These words describe two distinct time periods which are important to distinguish when entering into confidentiality and nondisclosure agreements. The term describes the length of the agreement and the duration is how long the obligations of the agreement are intended to last. The agreement’s term describes the effective period of the agreement. A typical nondisclosure agreement, which is signed by parties who want to share information before they can decide if they want to do business together will be valid for 90 days. Nothing ever gets done as quickly as we hope it will, so there will usually be automatic renewals for successive 90-day periods, while the parties continue to negotiate toward an overall service agreement. Once the parties do sign a service agreement, the terms of the NDA are usually recognized under, and subsumed by, the service agreement into which the parties enter. If the parties walk away from their negotiations and do not end up entering a service agreement, they let the NDA expire. A service agreement typically runs for a term of 3-5 years. Contracts that go on forever, known as “evergreen contracts” are not favored by businesses or the courts. The relevance of the term of the NDA or service agreement is that only the information received during the term of the agreement is protected by the terms of the agreement. Once your contractual relationship is over, if they then send you confidential information, such protective terms would not apply to this newly disclosed information. So, suppose you have signed a 90-day NDA with a company to discuss doing business together and during that time, you decide not to do the deal. Does this mean that on day 91 they can start sharing what you did give them with the world? Not if the agreement is written properly. This brings us to our second important period of time that we need to understand–duration. The other time period that is important is the duration of the obligation of the parties not to disclose the information after the expiration of the term of the agreement. In our example above, the parties let the 90-day agreement expire and do not enter into a business agreement of any other kind. The recipient must continue to treat as confidential, any information obtained during the 90-day period for certain amount of time thereafter. Just how long can that additional period of obligations last? If you’re the person who shared the information with a potential business partner and they didn’t end up doing a deal with you, you might reasonably want them to keep that information confidential forever. However, the law does not like to place such a burden on another party indefinitely. A typical, and generally viewed as reasonable amount of time, usually begins at the end of the term of the agreement or upon disclosure of the relevant information, and runs for another 1-3 years. This period of time can even be shorter if the information is soon to become non-confidential–so called “limited-life” information–such as the names of winners to be announced at an upcoming awards ceremony. 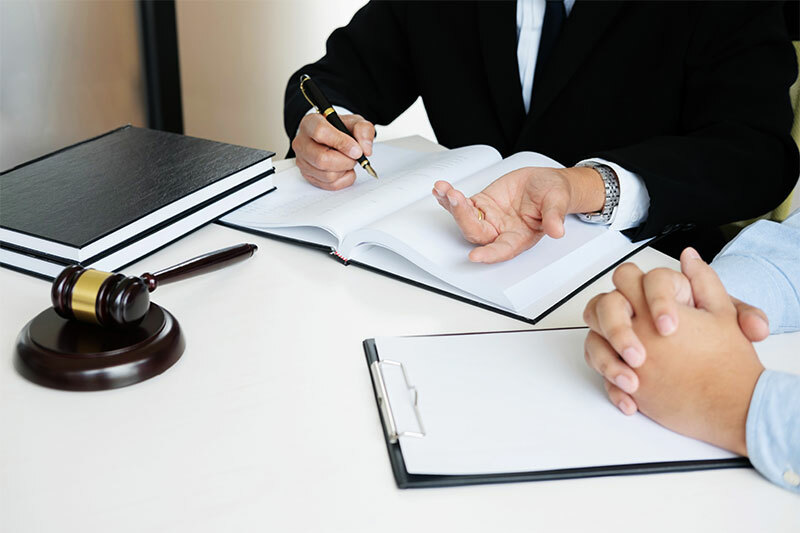 For example, an agreement term might be three years long, and the obligation of confidentiality regarding information disclosed to the recipient during that 3 years runs until the agreement expires, and for a specified amount of time afterward. As a side note, if the information disclosed constitutes a trade secret, such as the Coca-Cola secret recipe, the information can be, theoretically, protected forever, or for the period of time during which the trade secret remains a trade secret. This is because intellectual property laws would come into play. So, to summarize term and duration: a nondisclosure agreement or the confidentiality provision in an agreement will have a term of effectiveness—when the agreement starts and ends. Any information received during that term falls within the obligations of the agreement. There will also usually be a provision in the agreement setting the duration—the period starting at the end of the agreement (or when the information is received) and extending, typically, for 3 years, or more in the case of trade secrets, during which the confidentiality obligations regarding the information received during the term of the agreement will continue to apply. We hope you have enjoyed this explanation of unilateral vs. bilateral agreements and the term and duration regarding agreements regarding confidential information. Please do come back for the final installment in this series where we dive into what typically constitutes “confidential” information, exceptions thereto and common contractual terms.